Several months ago I became a grandfather for the first time. It was beautiful, a miracle, life altering…and so on and so on. She has blessed our lives in so many ways that it is impossible to describe with justice. Most things in life are overrated. Being a grandfather is NOT one of them. 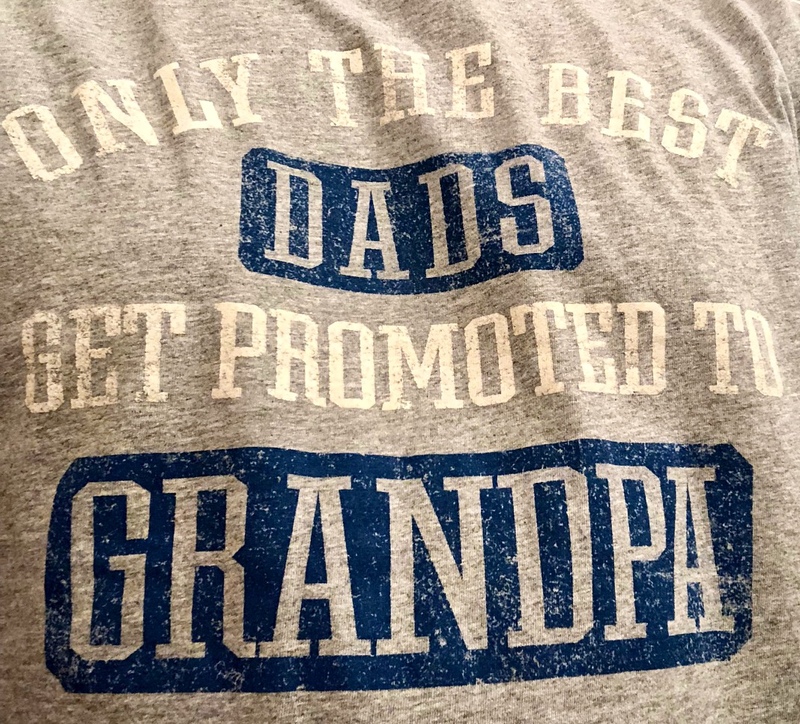 While I am more than confident this is correct of yours truly, I am equally as certain that a bunch of crappy dads get promoted to grandpa as well. 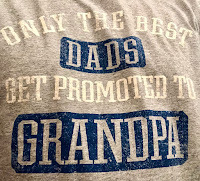 If one were shooting for accuracy it might read “Only Dads get Promoted to Grandpa.” They may not sell quite as many t-shirts, but my family to would want one. Bad dads, good dads, all dads become granddads when one of their children has a kid. It is such a crisis that there are so many shattered families. Those granddads often get locked outside of this child’s inner circle. I suppose they may not know the joy they are missing, but that does not make it any less tragic. So, during this Thanksgiving Day week, I am beyond thankful. Blessed that my family is close and we get to ride this wave together. Any other way in unimaginable. As for the shirt? My humble self will not be wearing it in public. But let’s not bury the lead here gang. I am in the Best Dad category if there EVER was one!